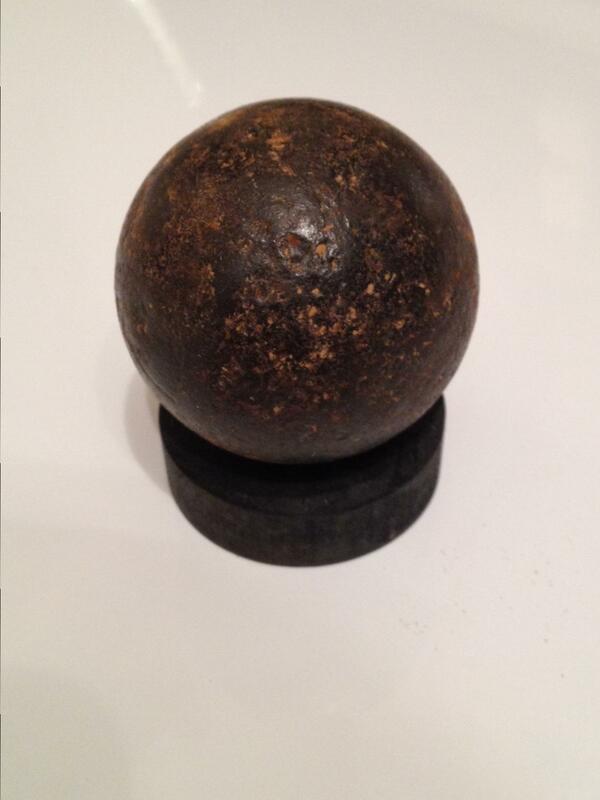 A good friend of mine found this 2 inch canister shot in a big tree branch while cutting down a tree for firewood. This was in the Harrodsburg Ky. area. It has been beautifully preserved in the wood for all of these years.